Well done to Adam Jackson and Natalie Hawkrigg, who were the overall male and female champions for the 2017 Northern Fells Running Club championships. 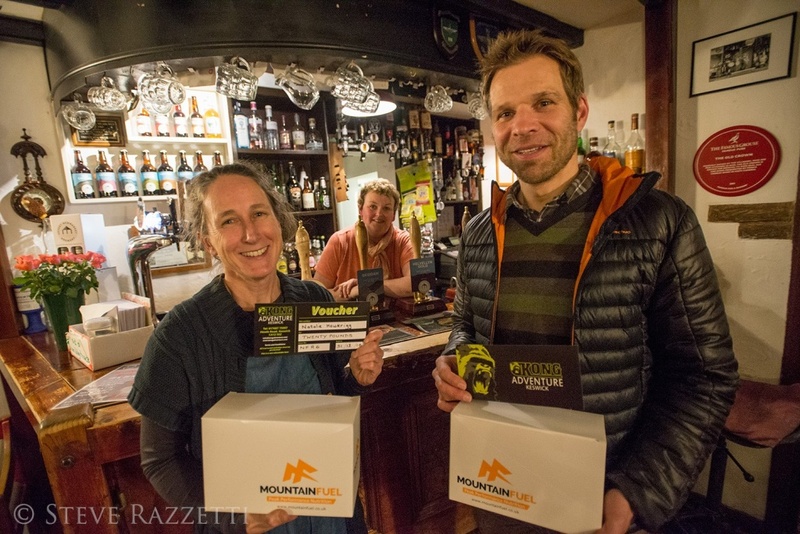 This year the club received help with prizes from generous donations by two local outdoor specialist companies, Mountain Fuel and Kong Adventure Keswick. Each category winner received a box of Mountain fuel energy drinks and Kong Adventure gift vouchers. Many thanks to Helen and Simon at The Old Crown (Hesket Newmarket), who hosted the club dinner again this year and have helped with our Carrock Fell race prizes over the last 2 years.